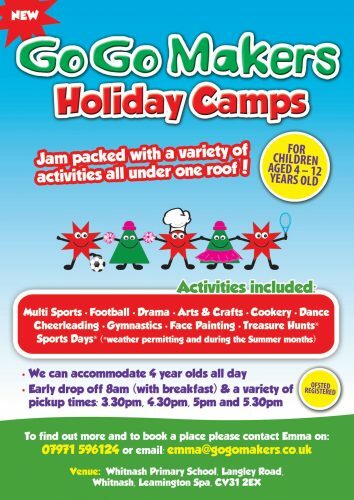 Go Go Makers run fun and exciting After School Club Sessions to children in Primary Schools, we also provide holiday camps, wrap around care and birthday parties! Due to continued expansion we are looking for enthusiastic individuals who are passionate about working with children and enjoy making arty crafty things too! Following setting up and closing down procedures and safety procedures. A minimum of two sessions a week and a maximum of 4 sessions are available (session times are 3.15pm – 4.45pm, 1.5 hours, start/finish times may vary depending on the finish time of the School). Term time (with the opportunity to work additional and optional hours during the holidays and at a breakfast club in the mornings during term time too). up to £10 per hour. A full DBS check will be carried out. Posted on March 29, 2018 by Nikki. This entry was posted in Make It Work.